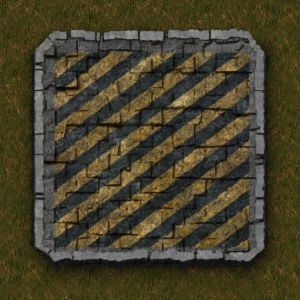 Hazard concrete is identical to concrete except for its striped texture. Rotating the tile changes the direction of the stripes. This page was last edited on 26 November 2018, at 23:37.